Flip 5 coins,times the number of heads. 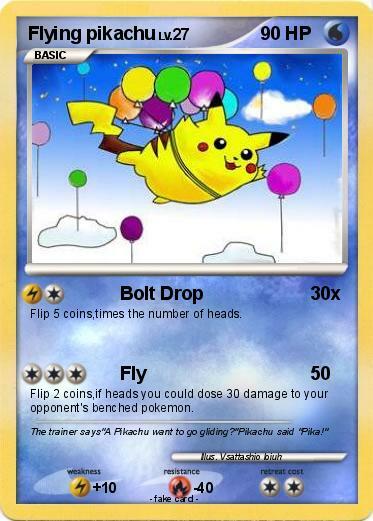 Flip 2 coins,if heads you could dose 30 damage to your opponent's benched pokemon. Comments : The trainer says"A Pikachu want to go gliding? ''Pikachu said "Pika!"